The best part of having a hot tub is soaking it in it after a long day, but sometimes you are going to have to follow a few hot tub maintenance tips to keep it in working order. 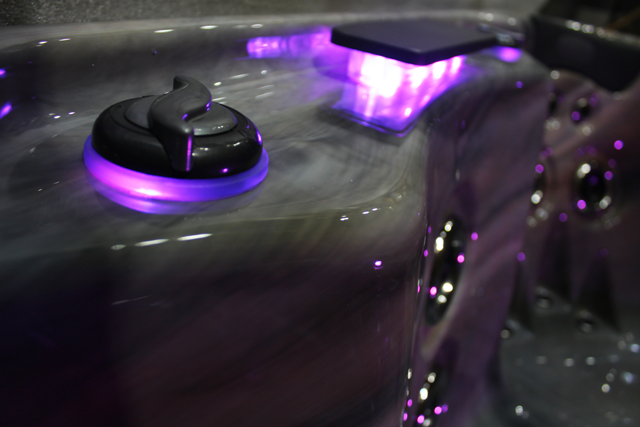 The number one problem with hot tubs is that the water is not as sparkly clean as it should be after just a few uses. Whether your water is foamy, cloudy, discolored, or irritating your skin there are adjustments that can help solve this problem. The following are some basic hot tub maintenance tips to help you keep your water fresh and clear at all times. No one wants to swim in dirty water, so if your water starts to look yellow, green, brown or any other shade of discoloration then it might be time to trouble shoot. If your mineral count comes back high then you should put some stain and scale into the water. If this doesn’t work then test the alkaline level of the water and then add to the pH to help clarify it. Yellow water generally means that the pH may be low whereas green water tends to mean algae is growing which can be reversed with the addition of more sanitizer. Cloudy water can be just as concerning, but can also be easily fixed. An easy fix involves simply cleaning the filter to get particles and dirt out of it. However, if this does not work then you might want to check the TDS level. If this level comes back high the best way to trouble shoot sadly is just to drain and refill your hot tub. If you still have not solved the problem then it is time to test the pH level of the tub and correct it with the appropriate pH solution. You also might have too much calcium in the hot tub which means you will want to fill it halfway and then refill it adding some clarifier along the way to get rid of any dissolved solids that might be hanging around. If the water is foamy there are only a few things that it could be, and they are all easy to correct. You might have a high TDS level which means you will need to drain and refill. You might have soft water or water that is contaminated or you may need to add sanitizer or pH. Most of the time if your hot tub has a ring around the top of it then there is probably an issue with the filter. Check all of your filters and clean them to eliminate the problem. It can also mean that the water has too many oils in it so you will need to grab a chemical cleanser to clean up the hot tub.